Vetiver Oil (Indonesia) - Ultra International B.V.Ultra International B.V.
Vetiver oil is obtained by steam distillation of dried roots of vetiver (Vetiveria zizanioides). Vetiver can grow up to 1.5 metres high and wide. The stems are tall and the leaves are long, thin, and rather rigid; the flowers are brownish-purple. Somewhat uniquely, vetiver has deep and well-matted roots which can grow anything up 4 metres in depth. Originating in India, vetiver is widely cultivated in the tropical regions of the world. The world's major producers include Haiti, India, Java (Indonesia), and Réunion. Cultivated for the fragrant essential oil distilled from its roots, vetiver is deeply integrated into the western perfumery industry. Worldwide production is estimated at about 250 tons per annum of which Indonesia contributes between 25 and 30 metric tons. Vetiver has excellent fixative properties, making it a good woody base in perfumes, in particular men’s fragrances. Some notable examples include Dior's Eau Sauvage, Guerlain Vetiver, Mr. Vetiver by Une Nuit a Bali, Zizan by Ormonde Jayne and Vetiver by L'Occitane. 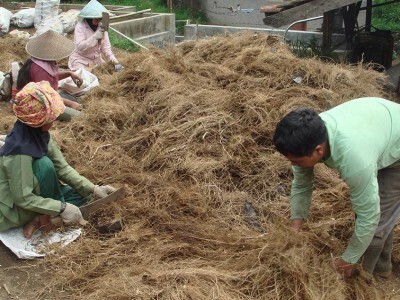 Prices of vetiver have eased due to a sudden influx of new materials in recent weeks. This has alleviated the pressure; and now prices have stabilised. It is still some time before the next harvest comes in during Q3, so a price hike may be imminent. Of late, the Indonesian producers have faced criticism for delivering inferior quality. With recent developments to enhance quality, and efforts to improve distillation equipment and processes, the quality dispatched for export is markedly better than before. 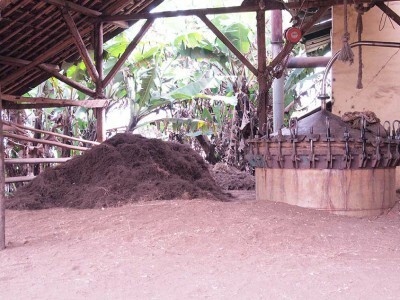 In spite of these challenges, Indonesian vetiver oil maintains its unique characteristics, and is perceived as a quality product as compared to the Haitian material.